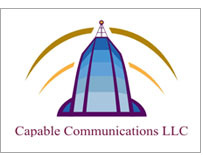 Capable Communications has forged partnerships with both local and worldwide providers to take advantage of multiple cost savings in a wide range of services for its customers. Some of these partnerships include technology companies and telecommunication service providers like AT&T, Broadview, Cogent, Line Systems, MetTel, PAETEC Spectrotel, and Verizon indirectly. Capable Communications also partners with a number of Hosted Voice over IP (VoIP) companies that provide an outsourced phone system solution that enables their clients to enhance their business intelligence and gain efficiencies. 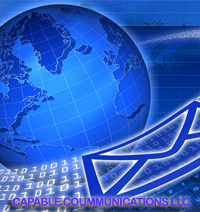 Capable Communications LLC partners with over 50 telecommunications, energy and technology companies. This provides our clients with a choice of service provider and the best of class solution to fit their needs. Let our years of experience and strategic partnerships help you find the right solution for your business. For more information on how we can help you manage your technology issues and streamline your telecom and energy costs please contact us.